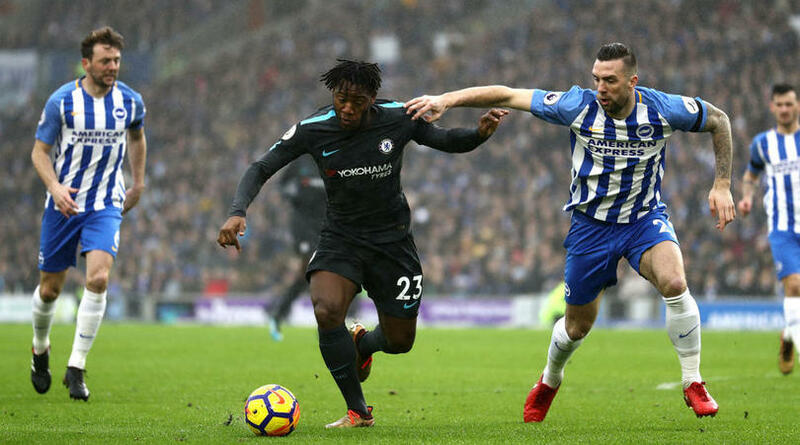 Batshuayi has been deemed surplus to requirements at Stamford Bridge by Maurizio Sarri, and endured an unsuccessful stint at Valencia during the first half of the season. Batshuayi’s Belgium international teammate Youri Tielemans has joined Leicester City on loan from Monaco, with the out-of-favour Adrien Silva moving to the Ligue 1 strugglers on a temporary basis alongside Spurs winger Georges-Kevin N’Koudou. Barcelona reached an agreement to sign Atletico Mineiro right-back Emerson for €12-million, with the Brazil U20 international set to spend the rest of the season on loan at Real Betis. Ernesto Valverde’s La Liga champions have moved Jean-Clair Todibo’s arrival from Toulouse forward by six months to be able to call upon the 19-year-old for the rest of this campaign. Everton kept hold of Idrissa Gueye, despite advances from Paris Saint-Germain and oversaw a loan exodus led by Yannick Bolasie to Anderlecht. Owen’s former England teammate Peter Crouch made an unlikely return to the Premier League after he joined Burnley from Stoke City as a makeweight in a deal that took Sam Vokes in the other direction. Youngsters Joel Pereira, Callum Whelan and Zak Dearnley all left Manchester United on loan, but the most significant piece of deadline-day business at Old Trafford was a new five-and-a-half-year contract for Anthony Martial. Cardiff City signed Leandro Bacuna from Reading in a reported £3m deal, and Brighton and Hove Albion captured Jan Mlakar and Cristian Baluta for undisclosed fees. Callum Hudson-Odoi’s move to Bayern Munich might have failed to materialise, but RB Leipzig and Augsburg secured young English talent on loan in the form of Arsenal’s Emile Smith-Rowe and West Ham’s Reece Oxford respectively. Celta Vigo made a pair of signings in La Liga, with Lucas Olaza returning to Spain and Ryad Boudebouz joining him at Balaidos. Atletico Madrid confirmed that centre-back Nehuen Perez – signed from Argentinos Juniors last July before being loaned back – will join up with Diego Simeone’s first-team squad after he concludes duty with Argentina at the South American U20 Championship. Galatasaray completed a deal for Marseille striker Kostas Mitroglou, while Miha Zajc’s arrival in the Turkish Super Lig from Empoli was announced in an Ultimate Team-style unveiling – from the Fifa 19 video game – by Fenerbahce.